Her lips parted, as if to respond. But no words came out. She stared at him, waiting. For what, he wasn’t sure. She licked her lips. To hell with whether it was love or lust or chemistry or kryptonite. He swooped in, covered her mouth with his, and drank her in. He thought she would push him away. Instead she pulled him closer, offered him more. He took it at first, deepening the kiss, his tongue probing, tasting. It was good. She was good. But it could be better. He did care whether it was love or lust. He needed to take it slow, make it mean something. Visit her at https://joannsky.com/ where you can sign up for her newsletter (and check out www.dogsandbooks.com for additional information about her children’s books). 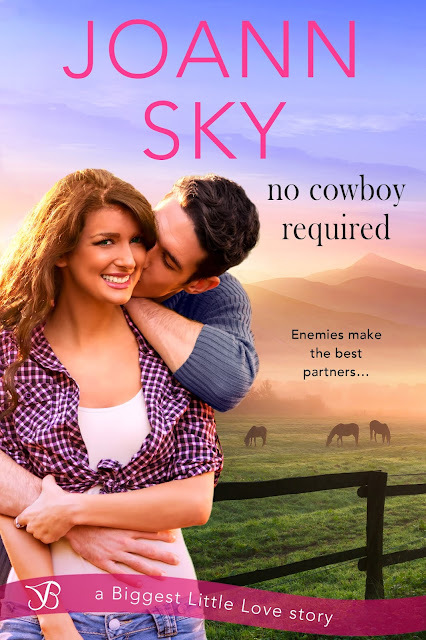 You can also connect on Twitter at @jaskybooks (http://twitter.com/JASkyBooks) or on Facebook (https://www.facebook.com/joannskyauthor/).